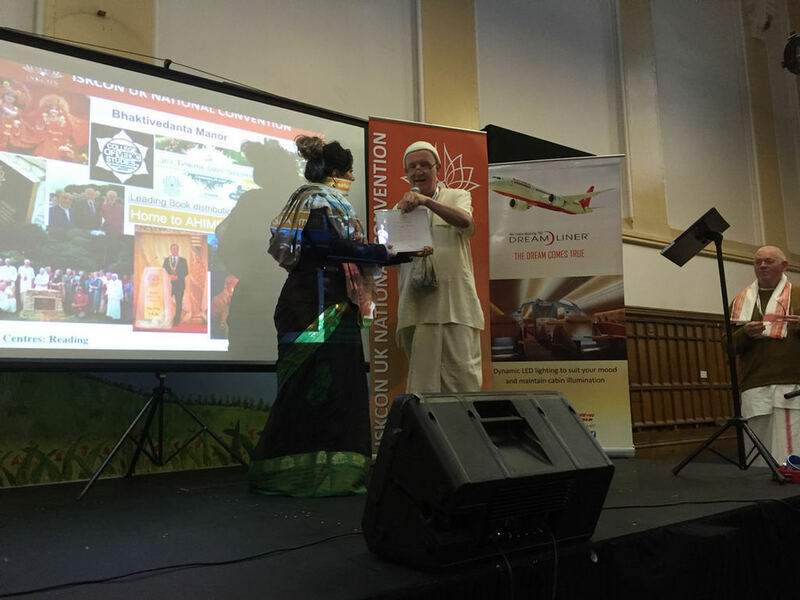 The 20th Anniversary celebration took place on the 12th April at Bhaktivedanta Manor from 5pm onwards. It was an evening of historic pastimes from the original members of Pandava Sena, the stalwarts that headed up the campaign to ‘Save the Manor’, and many other special people who had incredible memories of Pandava Sena in its early days. There were ecstatic kirtans, sumptuous prasadam and an opportunity for all to meet their old friends as well as the new, young, current generation of Pandava Sena and find out what we have been up to, and how things have changed over the years! It was a night of inspiration, exploration of memories and a motivational spiritual resurge for the next 20 years! It was a great honor to serve you, thank you to all of about 250 of you who came as Pandava sena wouldn’t be what it is today if it wasn’t for you. We were fortunate to have messages sent by a few sanyassis bestowing their blessings on the young generation of ISKCON. Below is the video of this compilation.